Aggravated Assault with a Deadly Weapon is a serious charge that requires the help of an experienced Houston defense attorney with a verifiable winning record. Carl Haggard and The Haggard Law Firm have over 30 years of experience defending and winning cases against aggravated assault charges in Harris County. A conviction for a second degree felony in Texas carries a potential jail sentence from 2 to 20 years along with a fine of up to $10,000. A first degree felony is more serious and can be punishable by 5 to 99 years jail time along with a fine up to $10,000 in fines. In conjunction with fines and prison, being found guilty of aggravated assault with a deadly weapon may also carry the consequence of paying restitution to the victim. As with most criminal charges, the facts and circumstances of the case as well as prior convictions often impact the range and seriousness of sentencing. If you are charged with assault in Houston or Harris County, contact us and we can help! Call or Email today for a free confidential consultation about your assault charges and we will immediately go to work fighting for you. Below is a small sample of assault cases that we have won. For more information on assault defenses see our self-defense law blog post. If you need help don’t hesitate to contact us today. This was a case of road rage between a white BMW, (Roberto’s car), a white VW (Complainant’s car) and a 3rd white vehicle. Each claimed the other was trying to run him off the road. Roberto, a retiree, was afraid for his life and shook his cell phone at Complainant, while at the same time retrieving his pistol, still inside its case, from his console. He held his gun and case in his right hand and closed the console with his elbow. Complainant claimed Roberto pointed his gun at him and described it to police, after they had observed Roberto run a red light and drive erratically before pulling him over. We developed solid defenses for all weaknesses in the case using the evidence and especially the 911 call to show Complainant was lying. Roberto was adamant he was innocent and refused to plead guilty. So we filed our Trial Motions, prepared our witnesses, and were all ready for trial when we won our Dismissal 2 days before trial. Needless to say, Roberto was very happy he had not caved in and pleaded to the DA’s enticing offers. Being charged with any crime is very devastating physically and emotionally. Having a competent attorney with a competent and full staff is the only way to handle a serious matter. Haggard Law firm certainly fit all of this criterion, par excellence. Oh, did I forget to mention, he was successful in defending me. Awesome!!!! 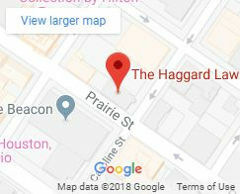 Would certainly give Haggard Law Firm a very high and serious recommendation. Case No. 15-DCR-071454 – Colleen G.
Colleen’s boyfriend stabbed himself several inches deep into his stomach during a fight and accused her. He was bipolar, stalked Colleen, and had lied to get past girlfriends in similar trouble. He was also very smart and managed to avoid admitting he stabbed himself during a long tape recorded phone call she had with him. We worked hard to compile extensive documentation of his background and to get his mental health records into evidence despite strangling HIPAA regulations. Another hurdle was that Colleen had failed her polygraph and had admitted to using knives in prior arguments to threaten Complainant with, one time stabbing a door several times during a fight. We used injury photos, scene reconstruction, and police reports to argue she could not have stabbed him based on logistics, police and stalking witnesses, an ex-girlfriend falsely charged with Assault by Complainant just days before our trial, and our massive compilation of impeachment evidence against Complainant to win an agreement to dismiss on the morning of trial. Case No. 1499380 – Michael G.
Mike was a documented Houston gang member with a serious criminal record and known to carry a gun. He and Complainant met up at a park, each with supporters in tow, to “discuss” an ongoing argument. The argument escalated and a crowd gathered around. Complainant and a witness testified Mike pulled a gun from his hoodie, put it to Complainant’s forehead, then shot twice at him as he turned to go to his car. Complainant sustained 2 bullet wounds to his legs. We also had defense witnesses that shots were fired but not by Mike. Houston defense attorney Carl Haggard aggressively argued this case on the evidence and witness testimony for a Dismissal of Michael’s aggravated assault charges. Case No. 1390535 – Terrell O. This case involved a 3-party, 2-gun firefight in a motel room doorway which spilled into the parking lot. Terrell shot first in self defense: Complainant was much bigger than Terrell and drug use was involved. Complainant was hit and seriously wounded requiring an 8 hour surgery and several months hospitalization. Complainant lied to police that Terrell fired on him to try to kidnap or rob him. The truth is that Terrell had loaned Complainant a handgun to try out, not knowing Complainant was an ex-con not allowed to possess a gun. When Complainant refused to return the gun, Terrell made a police report and went to Complainant’s motel room with another gun to try to recover it. When he told Complainant he had reported it stolen, Complainant concealed the gun and tried to flee. Terrell intercepted him, they fought hand to hand, and as they wrestled over the stolen gun, both guns fell to the ground. Terrell’s girlfriend was present, grabbed one of the guns, and opened fire on Complainant. Terrell also fired shots at Complainant. Terrell, with prior weapon, drug and felony assault charges, got the case for firing the shots. We obtained copies of the motel video surveillance which captured much of the fight but it was inconclusive so we had to proceed with proving a shooting first self-defense in a 2 gun firefight with multiple witnesses for Complainant. Our defense included witness interviews, scene videos, photos, criminal background and medical records, firearms receipts and Trial Motions, all of which we successfully used to argue self-defense and to convince the State they could not prove their case beyond a reasonable doubt. Mr. Haggard is the best lawyer I’ve ever encountered. He should really have his own TV show. Thank you for giving me my life back so I can continue with my career now and raise my kids. [From Terrell’s family – in another state] “We are so grateful for your help throughout this case. It was a comfort to know that we had a reliable Houston attorney to help Terrell. Thank you so much for all of the time and hard work that you put into this case in having it dismissed! We are truly grateful and very happy. Case No. 1386911 – Tony H.
With a prior record of Assault and DWI’s it didn’t look good for Tony when he was charged with threatening to kill a CenterPoint gas worker while allegedly also intoxicated. First we had to contend with the entry of a No Contact Order between Tony and his girlfriend with whom he ran a business; we successfully got that lifted before focusing our attention on ordering Discovery to begin our defense. His girlfriend’s teenaged daughter called saying she arrived home one evening with her little brother to find a man in their back yard asking to come inside to check for a gas leak. When she hesitated he became angry. She locked herself and her brother inside and called her mom in tears as he began knocking repeatedly demanding to come inside to check for a reported gas leak. His CenterPoint truck was not parked on her street and he was not wearing his uniform shirt as he should have been. Tony recognized the urgency of the situation esp. as the area was known for violent crimes and rushed to the scene rather than waiting for police. We admitted to the 40 cal. Desert Eagle compact in his pocket and the verbal confrontation with the CenterPoint worker but defended against the allegations that he had pointed the gun. We argued the reasonableness of Tony’s actions and the CenterPoint employee’s motivation to lie – sufficiently proved by his inability to describe the firearm – namely, to protect his job after his failure to properly ID himself. We also provided sworn testimony from witnesses to the Grand Jury. I hired Mr. Haggard because of the testimonials I had read on his website. Let me tell you he performs his duties to the best of his ability and is a highly knowledgeable attorney. He handled my case in a very professional manner and kept my spirits up throughout, reassuring me. Thanks to his abilities, knowledge and skills he successfully got my case dismissed!. I would highly recommend Carl Haggard to anyone who finds themselves falsely accused of any crime. Case No. 882893 – Bernardo G.
Bernardo waved a cell phone out of his vehicle during an altercation with another motorist – an off-duty police officer – after both left a nightclub. He claimed the cell phone was a gun, but no weapon was found. Being an individual with prior felony convictions I was almost certain about going back to jail for 2nd degree felony charges. But Mr. Haggard aggressively fought for me and I am convinced hiring him made a difference in my life. I couldn’t be happier with the outcome of my case. He did an excellent job from the beginning. I’m very thankful to him and his staff for the professionalism and dedication to defending his clients. My family and I would like to thank him from deep inside our hearts and let him know that God is great for listening to our prayers and Mr. Haggard is great for being an outstanding, excellent attorney. Thanks to Mr. Haggard the case was dismissed. Case No. 1328955 – Fred R.
The Complainant in this case was the ex-boyfriend of Fred’s daughter. He lied to police saying Fred violently assaulted him with a thick board and then left him lying injured in the street. The background necessary to understand this case, and that we had to credibly portray for the Grand Jury, is that Complainant had an ongoing and serious drug problem. So had Fred’s daughter – in the past – but she had checked herself into rehab several months previously and had largely overcome her addiction. 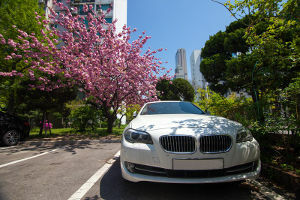 Shortly before the incident in question, however, she ventured into the dangerous territory of her boyfriend who basically held her captive for several days while using her car, her gas and her money. He commandeered her cell phone as well and used mental oppression and demoralization tactics to effectively paralyze her and prevent her from extricating herself from the situation. Her frantic parents texted her and received reassuring replies until their suspicions broke the surface of consciousness and they texted her a question only she would know the answer to. The texting ended abruptly and the phone went dead. Her parents ransacked her belongings for leads and received intel as to her likely whereabouts. Upon arriving there they saw their daughter in the passenger seat of her own car being driven by her ex-boyfriend. When he saw her parents he attempted to drive off with their daughter who managed to roll down her window and call out, in her native tongue (Farsi), “Help me, I want to come home!” Her father blocked Complainant in with his vehicle. The truth – which we had to prove beyond a reasonable doubt to the DA’s and the Grand Jury – is that Complainant approached Fred in an aggressive, menacing manner with the thick long board and that Fred, in self-defense, only pushed him back causing him to drop the board which was then picked up by Fred’s wife – who with her mother’s instinct for her daughter’s safety coming to the fore – is the one that pummeled the deserving Complainant with the board. Her husband however was the one erroneously charged. Complainant’s belongings in the car were tossed out on the ground. Fred’s wife jumped in and drove off in her daughter’s car followed by Fred. We explained for the Grand Jury that Fred had not alerted police his daughter was being held against her will and to ask for assistance with her rescue as he was worried drugs would be found inside her car (as they were) and he did not want her to be implicated. Complainant had indeed been assaulted with a board and left injured in the street — but we sufficiently proved the necessary background, the despicableness of Complainant’s actions, and that Fred had only pushed Complainant back in self-defense during his daughter’s dramatic rescue. We were able to get the case before the Grand Jury pre-indictment for a No Bill and no charges were filed on Fred’s wife. Case No. 1279378 – Josh W.
Josh is a Purple Heart Army veteran who has a pre-existing condition due to a brain injury caused by multiple IED’s exploding on him in Iraq: any trauma to the head for Josh could be life-threatening. While Josh and friends were at a popular and well-known bar in Katy a fight broke out. Josh was not involved but other members of his party were and all were asked to leave. In the parking lot, several of the aggressors from the bar, including a 400 lb. man, attacked Josh, hitting him in the head and choking him. While fighting not to lose consciousness, knowing he might never wake up if he did, Josh managed to pull out a knife and slash the neck of one of the assailants who had to be life-flighted for his injuries. Another complainant broke his hand in the melee. We sent one of our investigators immediately to subpoena the club’s outside video surveillance camera footage only to find that it had been mysteriously copied over just a few hours earlier. This footage would have also corroborated our client’s assertion that the five bouncers stood idly by watching the fight and only intervened after Josh had used his knife to slit open a neck. Later investigations revealed that the bouncers and police were friends with the Complainants and that one of the arresting officers was publicly bragging about the arrest in another popular bar where one of the Complainant’s worked. The very biased police took written statements from our six witnesses but none from the Complainant’s six witnesses. Josh himself ended up with fractures and a concussion. Although the club managed to skirt liability by “accidentally” recording over the parking lot tape, police and witness crime scene photos produced at least some visual evidence that we were able to use. Despite such gross injustice and mismanagement we carefully argued our defense of self-defense which included extensive documentation of Josh’s medical condition as proof that he was truly in fear for his life and acting in self-defense and not recklessly, eyewitness testimony,and proof that he had done nothing to instigate the attack. This case languished pre-indictment for so long that we had to have a special meeting with the DA’s regarding Complainant’s suspicious contacts with Josh on Facebook asking Josh to friend him – a subtle form of harassment and stalking. We won our Dismissal just minutes before Josh was to testify before the Grand Jury. Case No. 1260984 – Adam B.
Adam is a consultant who teaches online Webex classes to Fortune 500 businesses. While thus engaged, maintenance personnel from his Westchase residence began loudly sanding his front door. He calmly asked them to work elsewhere until his class was over. Complainants belligerently told Adam to see the management and continued their work even more loudly. Adam couldn’t leave his class waiting to go see management. Further, he felt threatened and displayed his shotgun vertically from within his own residence. A shoving match ensued after which Complainants took photos of the gun with their cell phones. Their statement, written in Spanish, lost something in the ‘translation’ by their jefe. It took a long time for charges to be filed as presumably the DAs coached police on which leading questions to ask to elicit the required responses from Complainants. Trespass was an issue since much of the struggle took place on and just over the threshold of Adam’s home whereas Complainants had no right or need to enter. Adam further felt threatened with bodily injury by Complainants, who were acting aggressively, as corroborated by witness testimony. After briefing the DA’s on all pertinent and disputed legal and fact issues, providing eyewitness and character testimony, – including a compelling letter from the property owners, and photographic and weapon evidence, we got this case before the Grand Jury in record time. Carl Haggard and his staff defended me expertly, vigorously and professionally to bring false accusations against me to a 100% positive resolution. You will not find a law firm more dedicated to clearing your good name. Case No. 1254000 – Kenneth W.
Kenny had been in jail since March 4, 2010, when he was arrested for allegedly shooting his brother. His elderly mother hired us to substitute in for a court-appointed attorney who she felt was not working very hard on the case. The case involved a long-standing feud/rivalry between Kenny and his brother, the Complainant in the case. A fight broke out in part over Complainant’s disrespectful treatment of their mother. She attempted to break up the fight and was knocked to the ground. When Complainant would not stop fighting Kenny long enough to help their mother get off the floor and out of harm’s way, Kenny took matters into his own hands and grabbed his loaded shotgun. He hit Complainant on the head causing a wound requiring eight staples. The gun also accidentally fired at that time. Complainant called police thinking the blood from his head was due to a gunshot wound. Kenny hid the shotgun but police recovered it as well as two .410 shells and processed his hands for gunshot residue which was tagged in evidence. Mr. Haggard interviewed Kenny in jail and began work on the case immediately after being retained several days prior to his first court hearing. We obtained a Dismissal the day after our first official court appearance. My son was facing a minimum of five years in prison. Attorney Haggard fought for my son and showed the court my son was defending me against the assault of another family member. He won the case and it was subsequently dismissed. Without Mr. Haggard’s expertise, knowledge, and courtroom mediation, this could have been a very devastating outcome for me and my son. My thanks and gratitude to Attorney Haggard and his staff for all they have done for my family. Case No. 1190283 – Brandon W.
This case involved a three-way knife fight and stab wounds to Complainant, wno produced the knife and first threatened Brandon with it. A free-for-all ensued between the three resulting in blows to Complainant’s head by Brandon as well as several serious stab wounds requiring hospital treatment. Using crime scene reconstruction and forensic evidence, such as analysis of the implications of the location of the trail of blood, as well as testimony from several eyewitnesses, we mounted a vigorous defense that included the thesis that Complainant’s stab wounds were caused either by himself inadvertently or by one of the other two parties accidentally. Police took recorded statements of several witnesses and parties involved in the fight and charged Brandon only; no doubt his previous assault conviction didn’t help matters. The fight happened in November of 2008 and languished in court for a year and a half while we aggressively battled, filing Motion after Motion and holding several pre-trial conferences to prepare for Trial. The Dismissal we won on the eve of Trial is all the more outstanding given that Brandon had unfortunately picked up another case in a nearby county during the pendency of this case. Mr. Haggard is AWESOME! – a diligent lawyer who works on behalf of his client and a straight shooter – an honest person – who tells you how it is and what you can expect. I was very worried about my 19-year-old son going to prison. With The Haggard Law Firm’s team and many prayers to the Lord above, my son has been given a second chance! Due to his dedication to my son’s case, it was dismissed. Should there ever be a need in the future, I want Mr. Haggard to represent this family. Case No. 1114905, 1120696, 1120697 – Louis D.
Louis a passenger in a truck driven by his wife when they were confronted by three known enemies on foot wielding a baseball bat and a knife. His wife sped off but Louis, in a highly intoxicated state, returned to the scene and shot them in the stomach, arm and leg using a .25 caliber semiautomatic. Police found four spent shells and a trail of blood at the scene. Using Louis’ history of mental illness and his other medical conditions and records as well as the considerable amount of evidence of self-defense, including dents in Louis’ car left by the bat, we were able to get him a truly last-minute Court Order to leave the hospital to attend his own Hearing at which we won for Louis deferred adjudication despite his prior record. His family felt prison would have been a death sentence, as it had been for Louis’ older brother. Read on. Case No. 1111481 – John M.
Our client had a prior State Jail felony on his record when this incident occurred. While on a job site several hundred dollars’ worth of his plumbers’ tools were stolen. He made a police report then later the same day the thieves approached our client and assaulted him, inflicting visible injuries. Our client defended himself using a flashlight and metal rod to inflict severe injuries on the Complainants requiring stitches. Using evidence and the self-defense motive, Mr. Haggard had the case brought before the Grand Jury, who No-Billed it. This case is now eligible for expunction. Case No. 1091130 – Kenneth A.
Kenneth had a pending Burglary case when he picked up a new case of Aggravated Assault. He was involved in a fight after which three of his friends were arrested for Aggravated Robbery. Our client and the three co-defendants were positively ID’d by the Complainant. Mr. Haggard was prepared to go to Trial but through his skillful use of witness and weapon evidence was able to obtain a Dismissal prior to Trial. Case No. 923492 – Bobbie D.
Our client suspected her husband of having an affair with another woman, whom our client was accused of assaulting with a gun. Our client was incarcerated without the ability to make a bond, as her family chose to spend their available resources on her defense, hiring a successful trial attorney. Mr. Haggard won a Dismissal of the case during his brilliant cross-examination in the middle of trial when the Prosecutor threw in the towel and moved for immediate Dismissal. I am very satisfied with the quality of workmanship of Carl Haggard. I was being locked away from my family on false charges. But I thank my attorney Carl Haggard so much on his professionalism on cross-examination. I would use him again. I thank God for you, Mr. Haggard! As the case began, it was dismissed due to Mr. Haggard’s cross-examination! Case No. 1057589 – Cesar G.
This assault involved a knife which was used by our client to inflict several wounds on the husband of a co-worker in self-defense after the husband falsely accused our client of having an affair with his wife. The Complainant and his brother were the ones who actually assaulted our client. Using witnesses and co-workers who knew of the background incidents leading up to the fight, which included Complainant’s stalking of our client, and witnesses of the actual fight, Mr. Haggard was able to prove our client used the knife in self-defense and obtained a Grand Jury No-Bill. Mr. Haggard gave me the best advice on witnesses and prepared me for the Grand Jury. You saved my life, Mr. Haggard and I’ll be forever grateful. Case No. 768625 – Darinder S.
Our client was accused of pulling a pistol at a Pizza Hut and threatening the clerk during an argument. We tracked down several witnesses who corroborated our client’s innocence, took pointed statements and effectively garnered their testimony into Affidavits to argue the case to a trial morning Dismissal. I was proud of how Mr. Haggard stood up for me on this false charge. He looked at my case very carefully and spent a lot of time. He even got my gun back for me. Case No. 755449 – Hector T.
There were allegedly several witnesses to our client’s pointing of a pistol at a neighbor following a protracted dispute between the families. 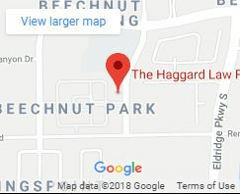 After an investigation by The Haggard Law Firm, several Pasadena Police Officers who knew of the bad reputation of the Complainant and his family were located. They assisted Mr. Haggard in convincing the prosecutors that their witnesses were not credible. Thanks to Attorney Haggard’s experience and tenacity, he was able to prove by way of investigation together with the Pasadena Police that this charge was false. The day of the trial, he succeeded in persuading the State to dismiss the charges. He fought for my family, for my home. I have my liberty. I am happy and grateful. Case No. 1004761 – Mario M.
Mario was with a friend who got into a fight. Mario was not involved in the fight but grabbed his father’s broken, unloaded B-B gun and brandished it only, in what we argued as a meritorious effort to break up the fight and protect his friend. At the time of this arrest, Hector was on probation for Burglary of Habitation but our Dismissal saved him. Case No. 1133324 – Jacqueline B. When her intoxicated husband would not allow her to leave during bran argument, Jacqueline found it necessary to defend herself with a knife. After she left, her husband called police who found Jacqueline and the knife nearby. We were preparing to set the case for Trial, as Jacqueline was unwilling to plead, when Mr. Haggard obtained a Dismissal. Carl took great prior preparation and always put my needs and thoughts first. A man of his word.